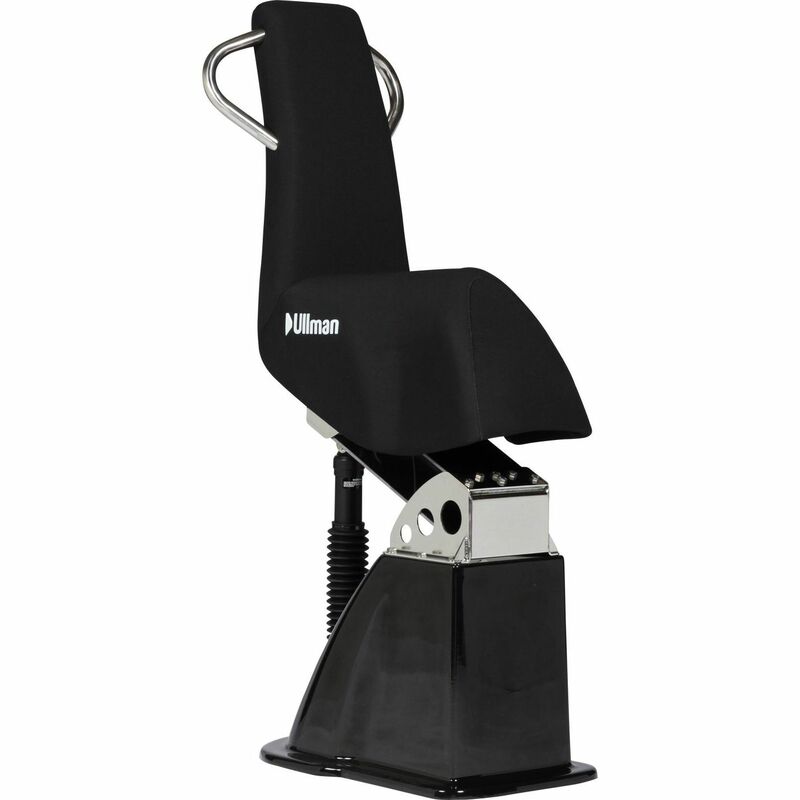 The Ullman Biscaya Jockey Seat is designed to protect the crew and passengers of high-speed craft from injury. 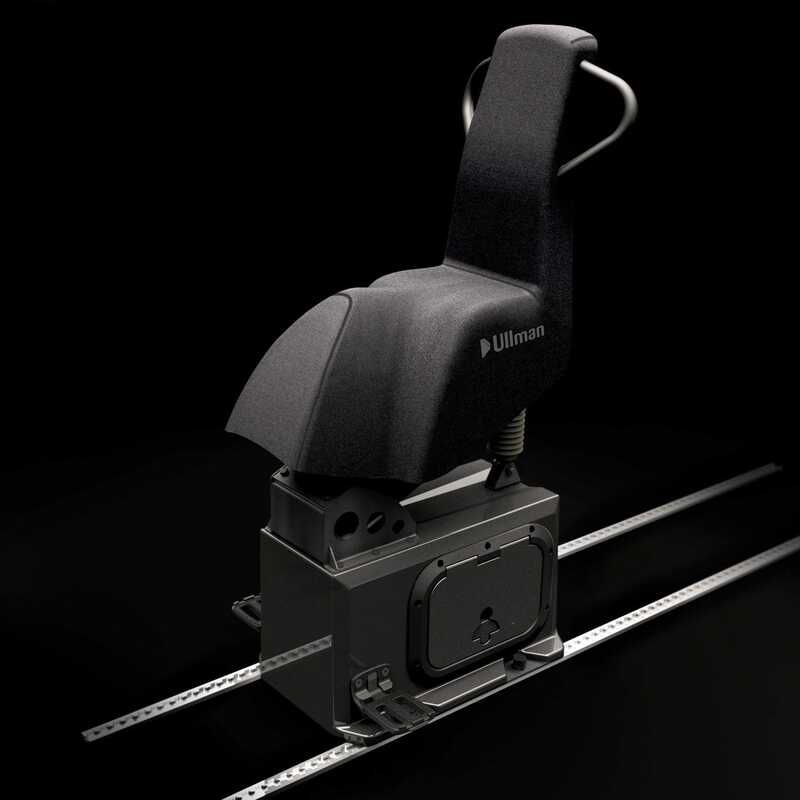 The seat design optimizes body posture while the Ullman Semi-Active Progressive Shock Mitigation System takes care of the high forces during impact. 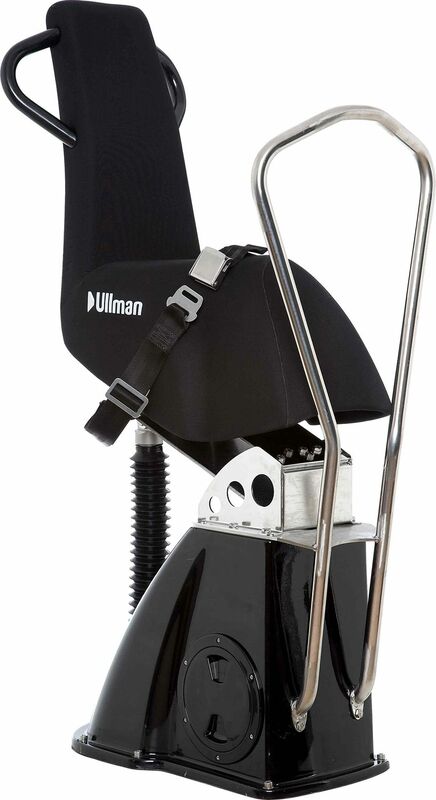 The Ullman Biscaya Jockey Seat has a high backrest for maximum comfort and support plus long saddle sides for optimal lateral support in a straddling position. To further improve seating geometry, the Ullman Biscaya includes two handles manufactured of stainless steel (316) that give wider support for passengers behind the seat. A zipped neoprene pouch for gear is located on the rear of the backrest. 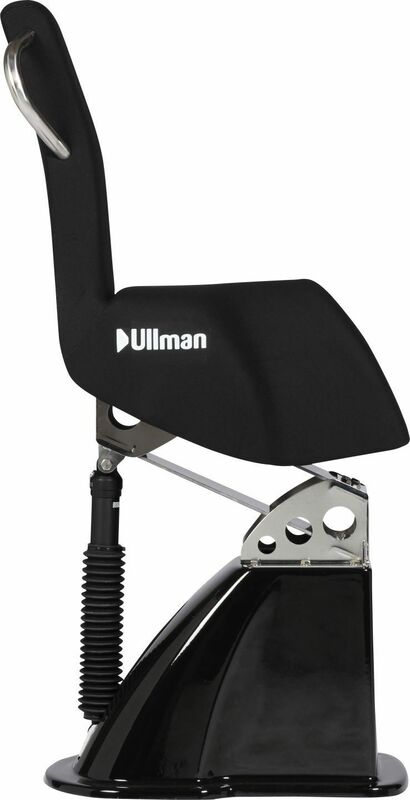 The Ullman Semi-Active Progressive Shock Mitigation System, provides unsurpassed shock mitigation, allowing the human muscular reflex system to synergize with the mechanical suspension, resulting in mitigation of 76% of the impact exposure. Ullman Biscaya seats are the adopted benchmark standard in many navies and coast guards around the world. They are in use in more than 50 countries worldwide.